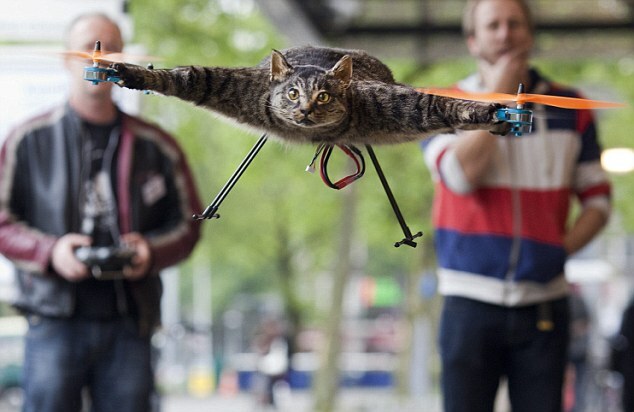 Drones and quadcopters have gone beyond fanciful flights of fancy, to actually becoming a staple aspect of society. This has enabled enthusiasts, movie makers and multi-billion dollar companies alike in their respective pursuits. Before getting involved with drones and actually purchasing one, it’s important to take a few things into consideration. 1. Terminology: Believe it or not, there is some vocab you need to understand before buying a drone for the first time. – RTF (ready to fly): If these three letters appear on the drone packaging, that means the drone is already put together, has a controller and all the necessary parts for flying straight out of the box. – BNF (bind and fly): With a BNF drone, the device itself comes pre-built, but will often not include a controller. You will have to use one you already have that is compatible with the device or purchase one separately. – ARF (almost ready to fly): The majority of packaging labeled as ARF is nothing more than drone/quadcopter kits. They will have most of the pieces you will need, but the assembles and starting up will all have to be done by you. 2. Objective/Use: A lot of people interested in drones/quadcopters tend to just buy the latest, most high tech device out there, but that is not what you want to do. If you are just looking for something that is easy to fly for fun, but that’s all you want it to do then don’t go buying the most expensive/pricey drone that comes with an HD camera and GPS mapping functionality. Instead, buy an affordable drone or a drone for beginner. If you’re a filmmaker or a pro then you definitely want to consider buying one of the best drone on the market. 3. Price: As above, depending on what you plan to use the drone for, your price range will vary. Obviously, if price is not an issue then one is able to buy a drone that can give more bang with the buck. That is if skill level and other factors where not to be considered. 4. Skill level: If one will be flying the drone themselves this determines a lot the drone to buy, as a drone simpler to control will probably be best (see our beginners quadcopter list). If you’ll be hiring a pilot to fly the drone, then purchasing the top-of-the line drone becomes an option. 5. Regulations in your Area: Determining if your area has regulations on what can and cannot be flown can help prevent you from wasting your investment or being fined for breaking the law. Most areas do not have severe restrictions, but it is important to know them before buying your drone. 6. Camera / GoPro compatibility: GoPro cameras are the top of the line when it comes to aerial photography and video. Therefore, if the camera of choice of the buyer is a GoPro camera, then it’s crucial they purchase a drone that can give them that flexibility. Check out the best quadcopters for GoPro or the best quadcopters with built-in camera. 7. 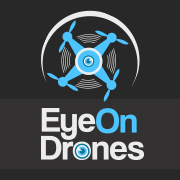 Field of view of camera: Film maker or security outfit will likely prefer a drone that can give a 360 degree field of view that is unimpeded by parts of the drone. The retractibility of the landing gear comes into play here. Film makers may not necessarily be interested in a 360 degree field of view, provided the drone can maneuver without jeopardizing the shot. 8. Autopilot Capability / Flight Augmentation: Commercial drones come with many basic features provided by their autopilot and flight augmentation systems, such as return to home, or hover during no pilot commands. However, a film maker will likely desire the latest and greatest 3-axes stabilization system that further ensures the shot will not be jeopardized in any way by an errant gust of wind. Also, beginners can buy advanced drones that come equipped enough with a system that augments their lack of skills. 9. GPS or Glonass Navigation System: Depending on one’s location on the globe, especially if one is located in the Eurasia region, having a dual navigation system becomes attractive for a variety of reasons. One of them is political, and the other being redundancy. A dual navigation system also enables quicker drone startup, regardless of location. This is because the number of satellites available to the drone for proper navigation increases by many factors. 10. Flight time: Among other things, flight time is largely determined by the battery pack. Many of the top-of-the-line drones can give up to 25 minutes of flight time, while the middle-class drones can give up to 15 minutes. 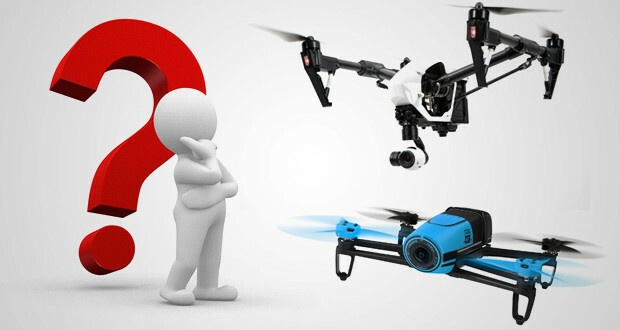 Depending on one’s patience and the ultimate use of the drone, flight time and hence range of operation becomes a determining factor when deciding which drone to purchase. At times, one can circumvent this concern by buying multiple battery packs. But then again, depending on use of operation, you may not want to keep returning the drone to base to replace batteries ever so often. 11. Understand the device: Finally, take some time to do some research on the drones you are considering buying. There are certain ways to fly these devices and routines for keeping them clean and working properly. Knowing these facts can help prevent damage to your drone and ensure you are getting the most use from it. It’s important to understand how your drone works and if there are any regulations in the area you need to be cautious of. Do not go breaking the bank for a drone that has more gadgets and gizmos than you need, instead determine what you can spend and what you want to use the drone for. Do your research, read our reviews and make sure the drone you choose is right for your intentions!